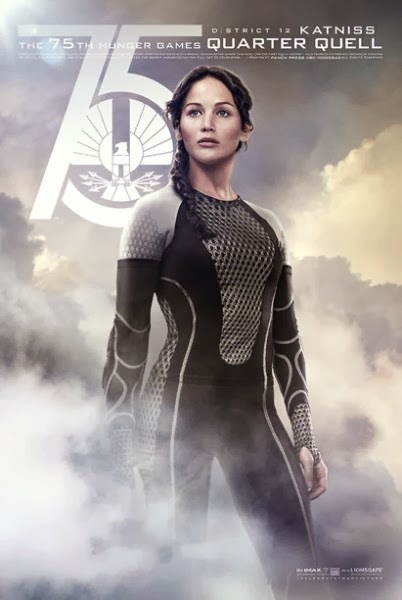 The Final Trailer for 'The Hunger Games: Catching Fire' is Here! "Ms. Everdeen, you fought very hard in the arena, but they were games. Would you like to be in a real war?" It's nice of President Snow to ask, but we all know Katniss Everdeen doesn't really have any say in the matter, and in The Hunger Games: Catching Fire she'll be thrown into another life-or-death battle, but the fate of an entire nation is at stake this time. With less than a month before the film hits theaters, the final trailer has been released and Lionsgate is going out with a bang. This one focuses squarely on the simmering battle between Katniss (Jennifer Lawrence) and President Snow (Donald Sutherland) as rebellion brews throughout the nation of Panem. Katniss and her lover Peeta (Josh Hutcherson) don't get to celebrate their victory in the 74th Hunger Games long as the Capitol targets them for extinction. The best way to do it is by throwing them into the 75th Hunger Games, known as the Quarter Quell, in which they'll face the greatest surviving champions. The Hunger Games: Catching Fire debuts at the Rome Film Festival (boooo!!) before opening on November 22nd.